Goa is one of the most populardestination in India, for its diverse blend of nature, beaches, parties and adrenaline activities people visit travel from wide and far to this small state. 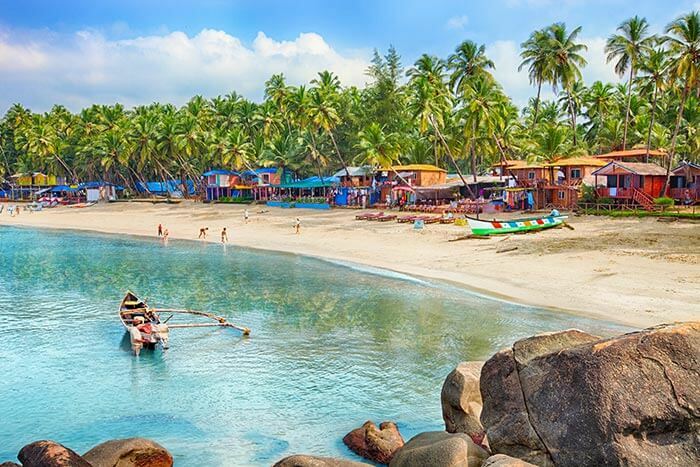 Here are some popular places to visit in Goa - Anjuna flea market, beaches, Portuguese mentions, old goa, spice plantation around ponda, wildlife sanctuaries, basilica de bom jesus, fort aguada, dudhsagar waterfalls, galjibag beach, naval aviation museum, goa carnival, viceroy's arch, tvoy goa day tours,shantadurga temple and many more to visit. 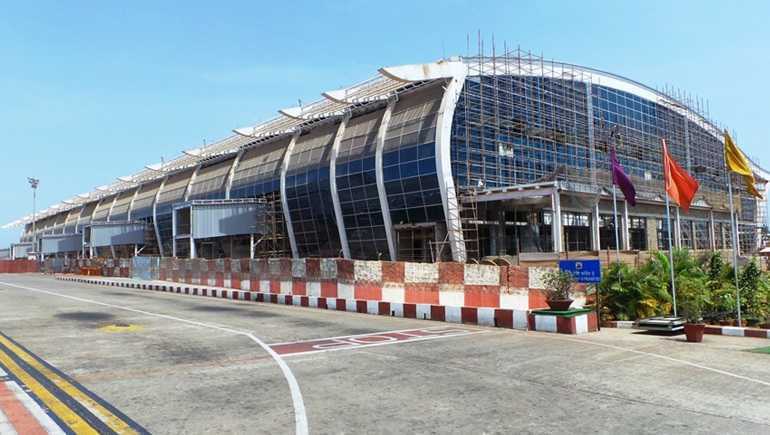 Arrival at the Dabolim Airport, Goa. Meet our tour representative for an assisted transfer to your hotel in North Goa. Complete the check-in formalities and relax for a while. The day is at leisure and you can explore the surroundings on your own. Visit the popular North Goa beaches such as Baga beach, Calangute beach, Candolim beach, Anjuna beach, Vagator beach, Dauna Paula beach etc. These beaches bustle with a lot of touristy activity. In the evening, you can visit any of the popular beach shacks, serving lip-smacking food of Indian and World fares. The whole ambiance of these shacks is quite informal yet interesting. The menu also includes a variety of seafood and various kinds of alcoholic as well as non-alcoholic beverages. 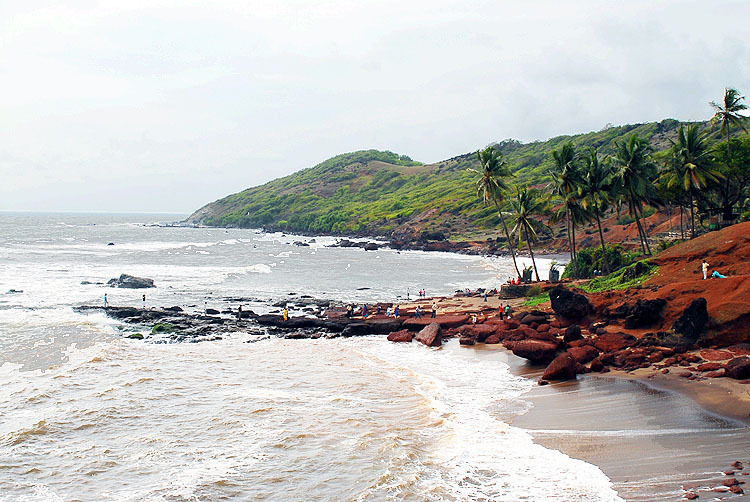 La Plage, Tantra, Bewan Me Up, Sublime, St Anthony's, Brittos, Curlies are some of the popular ones in North Goa. The other option is of visiting the Casinos in Goa (at your own cost). There are several casinos in the river waters of Goa such as Casino Royale, Casino Pride, Casino Pride 2, Deltin Jack, Deltin Royale, etc. Stay Overnight. 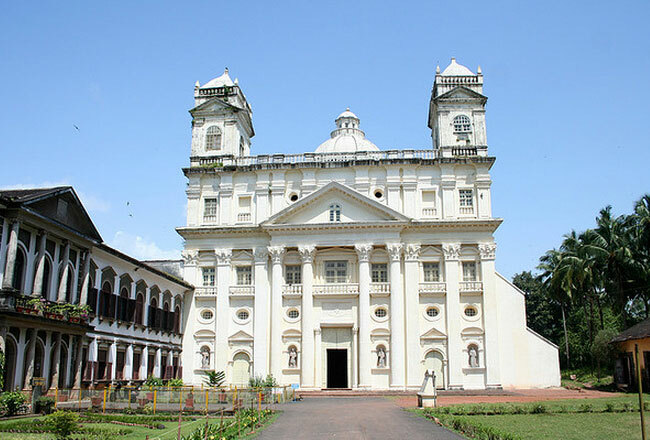 visiting the popular churches of Goa. 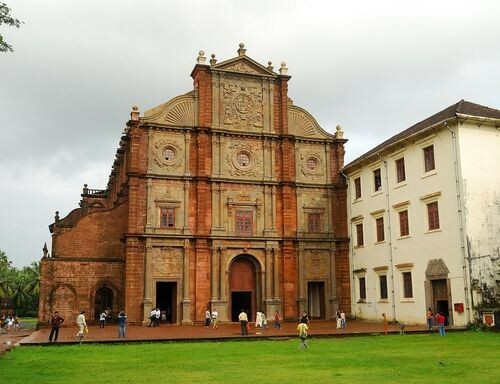 These Goan churches are not only popular as places of worship, but are also known for their wonderful architecture. Se Cathedral- also known as Se Cathedral de Santa Catarina, it has Portuguese- Manueline architectural style; Bom Jesus Basilica- this World Heritage Site has the mortal remains of St. Francis Xavier, Church of Our Lady of the Immaculate Conception- a Baroque style that was built in 1541; Church of St Francis of Assisi- one of Goa's most respected Roman Catholic churches, and Church of St. Catejan- a replica of St. Peter's Church in Rome, it has Corinthian style of architecture. Later, you can explore Goan capital Panaji. In the end, you can enjoy Mandovi River Cruise (at your own cost). The cruise has food, drinks, and live bands performing Goan dances. Stay Overnight. Today, wake-up early for dolphin viewing. 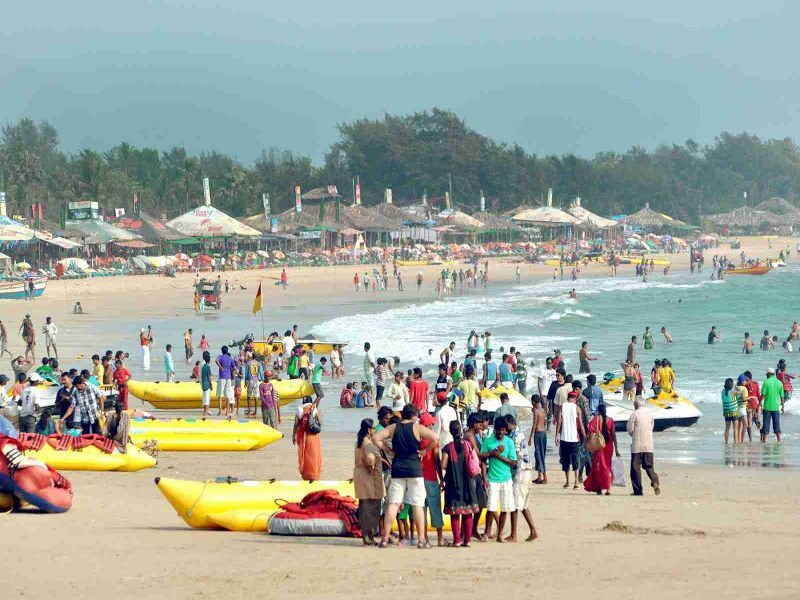 Once you are the Baga/Calangute beach, there are a number of local service providers who offer various kinds of water sports activities including dolphin viewing. They have special packages. Pick a package of your choice (at your own cost). Some of the popular water sports activities in Goa include Jet ski, parasailing, water skiing, speed boating, banana ride, scuba diving, snorkeling, and rafting in Mhadei River. You can enjoy lunch at a beach shack (soak). In the evening, visiting Goa flea markets would be a great idea. These flea markets sells anything and everything such as food items, clothes, jewelry, accessories, spices and so on. Music and dance are a significance of these flea markets such as Arpora Saturday Night Market, Anjuna Wednesday Flea Market, Mapusa Friday Market, The Mackies, and Calangute Bazaar. Overnight stay in Goa. 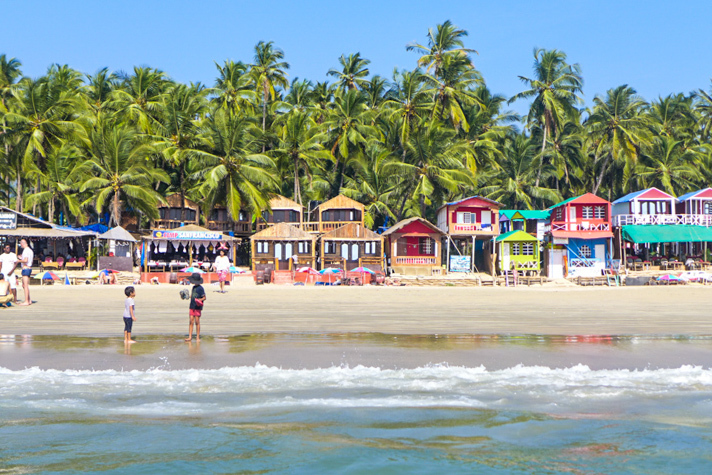 visiting the popular South Goa beaches, which are less-touristy. These beaches are slightly secluded and are ideal for peace-seekers. 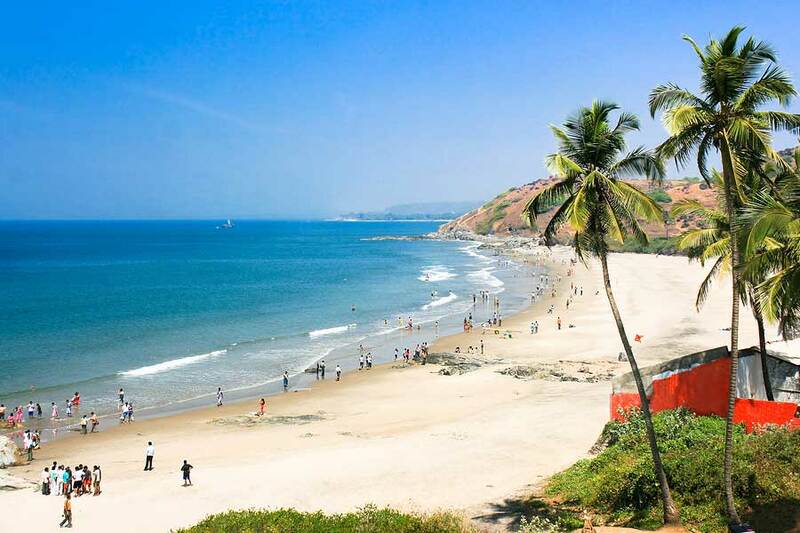 Mobor beach, Palolem beach, Majorda beach, Varca beach, Cavelossim beach, Betalbatim beach, Agonda beach, Colva beach are some of the wonderful pristine beaches of this side, which one can easily visit. Enjoy long walk, soak-in the serene ambiance, savor sumptuous food at the shacks or a local eatery, treat your eyes to the mesmerizing sunset views, and indulge in the activities of your interest. Adventure sports are also offered here. Stay overnight in Goa. In the morning, visit any of the Spice Plantations of Goa, to gather knowledge about the special tropical spices of the region. 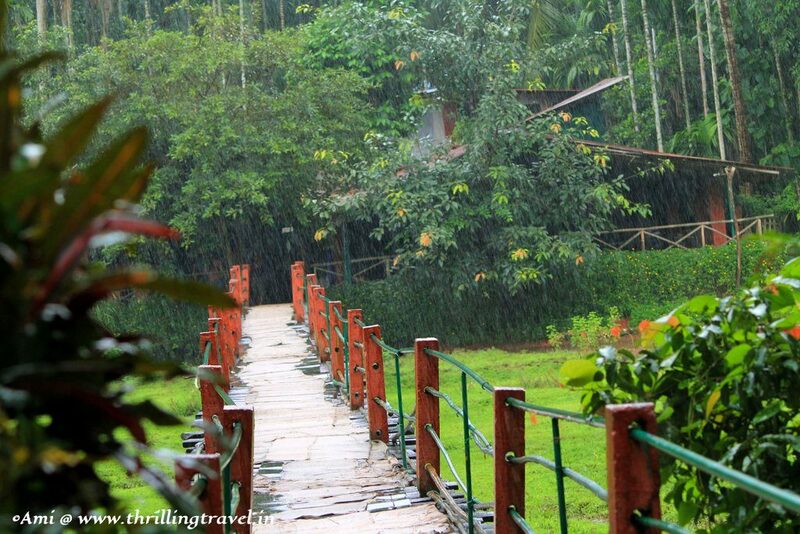 A visit to Goan spice plantation truly is refreshing and a treat for all the senses. In most of the cases, lunch is also served at the plantations. The rest of the day is at leisure. Indulge in the activities of your interest. Overnight stay in Goa.